The mission of the Latino Alliance of Southeastern North Carolina is to build a stronger network among people and organizations that serve the Hispanic/Latino community in the region, and to empower local citizens and organizations that serve the Hispanic/Latino community by creating positive change in areas of education, business, health care, safety, and community building. 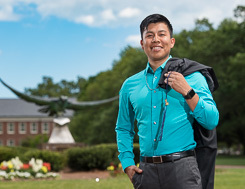 Led by the University of North Carolina Wilmington, the Latino Alliance currently serves the role of a network and a platform from which to access resources, share information, and discuss issues, both of progress and of challenges still to overcome. Click here if you would like to be added to our mailing list or to manage your subscription. Interested in hosting our next Latino Alliance meeting? Contact Matt Wooddell at wooddellm@uncw.edu for details.